A specialist bottleshop where you can drink wonderful craft beer, real ale & cider in our cosy beer parlour or take something home to enjoy later. Our constantly changing selection means that you should always be able to find something interesting, local beers, UK beers & imported beers, choose an old favourite or try something new. Just behind Ashton’s Historic indoor market, 5 minutes away from the bus, train & Metro stations. 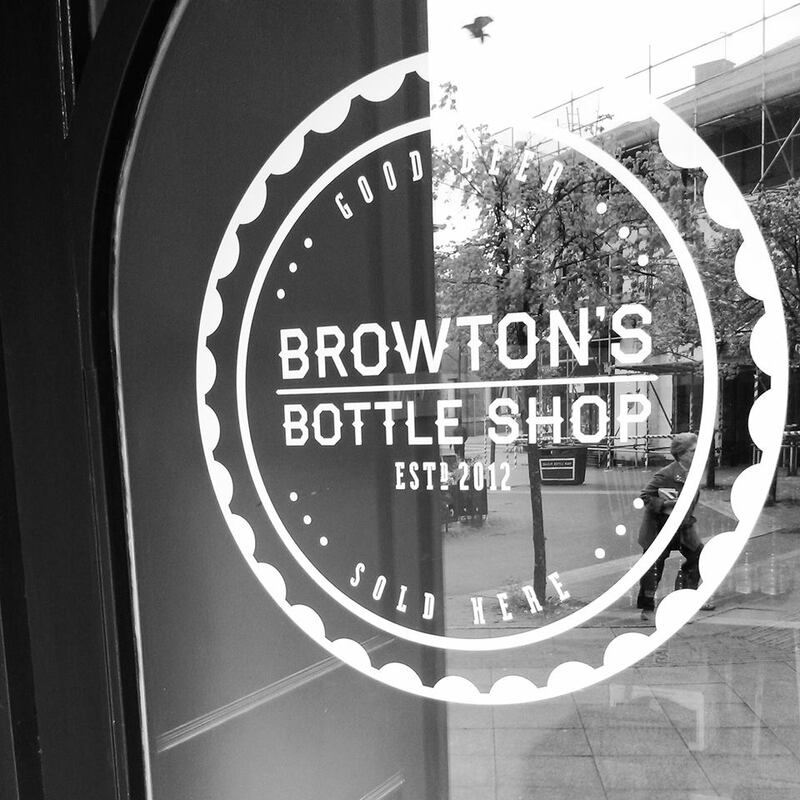 Email us at info@browtonsbeer.com or give us a call on 0161 343 8720. Best beer I have tasted in a long time, will definitely be back. Thanks very much, obviously you are a gentleman of taste. It was great to meet you, I hope the operation is a success! I’ll definitely be making the trip over from bury again soon and thanks for the magic rock salty kiss recommendation. It’s fantastic. Makes a great venue for a small meeting of family/friends now you have the On-Licence. Great beer and great atmosphere with the added benefit of bring and play your own vinyl records. I’ve got loads of old cassette tapes, do you know any place I could go and play them?……..whilst having a crafty beer. Great little meeting place for all our family and friends now you’ve got an on license. Nothing beats good music and great beer!